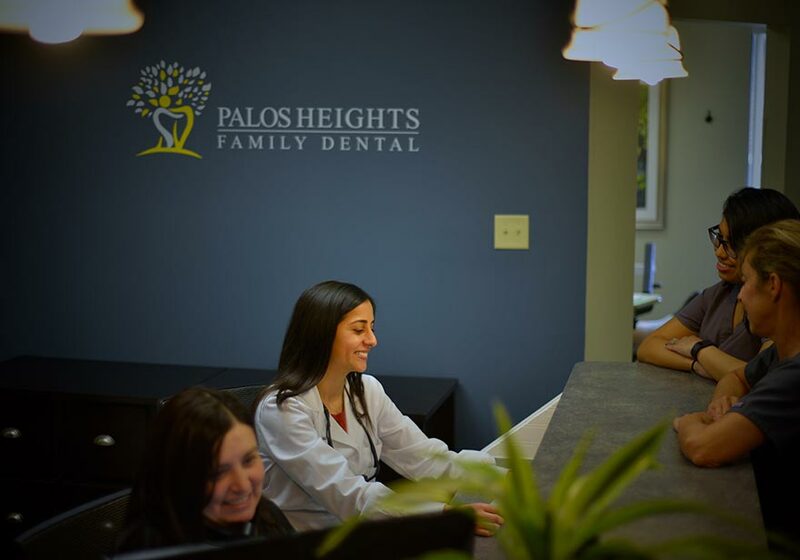 Dr. Nina Arora is excited to be a part of the Palos Heights community! She truly enjoys working with patients of all ages to improve oral health and create beautiful smiles. Patient comfort is her number one priority and she works with all of her patients to ensure their visit is enjoyable. Dr. Arora is experienced in general dentistry and orthodontics, and has a passion for improving the oral healthcare of children. Dr. Arora grew up in central Illinois and graduated from the University of Illinois College of Dentistry in 2008. She has been engaged in continuing education in a wide variety of topics ever since and is highly knowledgeable in her field. When not in the office, Dr. Arora enjoys spending time with her family, staying fit with yoga, and you can sometimes catch her on The Second City stage performing comedy shows. Dr. Umang Patel places great emphasis on being an honest and gentle dentist who treats his patients, not just their teeth. Dr. Patel regularly completes numerous continuing education courses each year. Advanced training in cosmetic dentistry, restorative, and dental implants allows Dr. Patel to work with you on a wide variety of start-to-finish treatments. Dr. Patel grew up in Canada and received his bachelor’s degree from the University of Windsor in Ontario. He then went on to earn his dental degree from Northwestern University in Chicago. He is a proud member of the Academy of General Dentistry. Outside of the office, Dr. Patel enjoys spending time with his wife Susan and their two young children. He loves the Windy City and spending time outdoors, golfing, exercising, and chasing his children around. He is an avid Bears and Blackhawks fan. Dr. Kara Passolt-Kung is excited to join the Palos Heights family. As someone who has always loved going to the dentist, her goal is to create a trusting and comforting environment for her patients. She enjoys getting to know her patients and developing a treatment plan that is specific to each patient’s needs. Dr. Kara grew up in the Northwest suburbs before obtaining her undergraduate degree in health promotion at the University of Iowa. She then came back to Chicago to obtain her DMD from Midwestern University in Downers Grove. Dr. Kara enjoys attending continuing education courses in a wide variety of topics in order to provide the best care. She is also a member of the American Dental Association. In her spare time, Dr. Kara enjoys traveling with her husband, trying new restaurants, and playing with her dog, Elvis. Melissa has over 15 years of experience as an office manager with 10 years in the medical field. Her goal is to make your visit a pleasant one. In her spare time, she enjoys traveling to Disney and hanging out with her husband, three kids, four dogs, and macaw. A former teacher, Ann has spent the last four years in the dental field and loves it. She enjoys making our patients feel comfortable, from their first phone call all the way to the dentist’s chair. Outside of work, Ann enjoys music, exercise, and travel, but most of all, spending time with her husband and their three children. Tricia has worked in the dental field for 18 years and has been a dental hygienist for 14 years. She loves working one on one with her patients, educating and creating individual home care strategies. She strives for patient comfort while providing the best patient care. In her free time, Tricia loves spending time with her husband and two children. With over 30 years of dental experience, Vicki prides herself in providing the best oral hygiene care for her patients. Her goal is to have every patient leave with a clean and healthy smile. She enjoys the outdoors, traveling, and spending time with her husband and two children. Maritere has been a dental assistant for six years. In her spare time, she enjoys spending time with her two nephews, listening to music, dancing, and playing with her puppy. She loves seeing patients walk out the office happy and smiling, showing off their new teeth. Lisa is very excited to be working with PHFD. She has over 30 years of experience being a dental assistant. Lisa loves talking with and getting to know her patients, answering any questions they may have about their appointment, and reassuring them everything will be okay. In her spare time, she enjoys antique shopping, spending time with her family, gardening, and taking care of her pets. Because we treat patients of all ages here, we understand that each of our patients has different needs when it comes to staying comfortable. Our modern office amenities ensure that your family will stay happy and relaxed in our care!